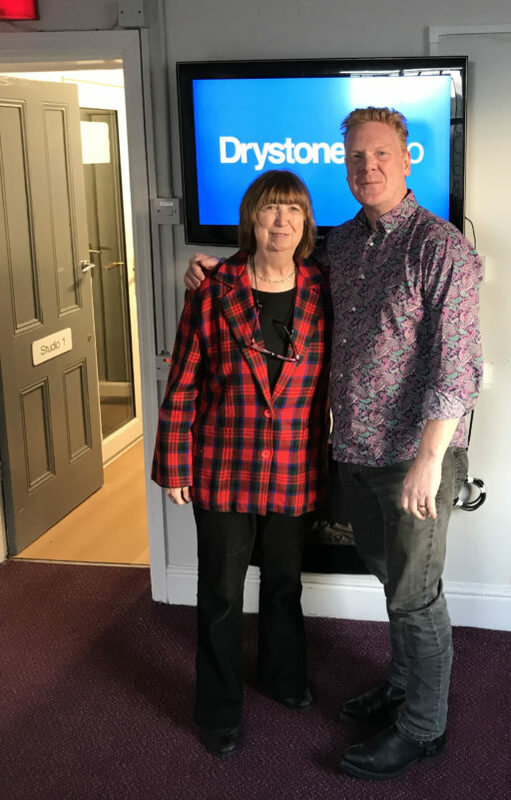 Here’s Maggie last night with David Driver of Drystone Radio, just before recording an interview for his Writers’ Bookshelf programme. They ranged over all kinds of topics – including some of her books, obviously – and David played a few of her favourite tracks as well. Altogether, it was a very relaxed and enjoyable experience. Drystone Radio broadcasts on 103.5FM to South Craven and the Yorkshire Dales providing a local resource for information, events and great music. A podcast of Maggie’s interview will be available for three weeks from drystoneradio.com/ondemand.